My 2014 featured three major trips. 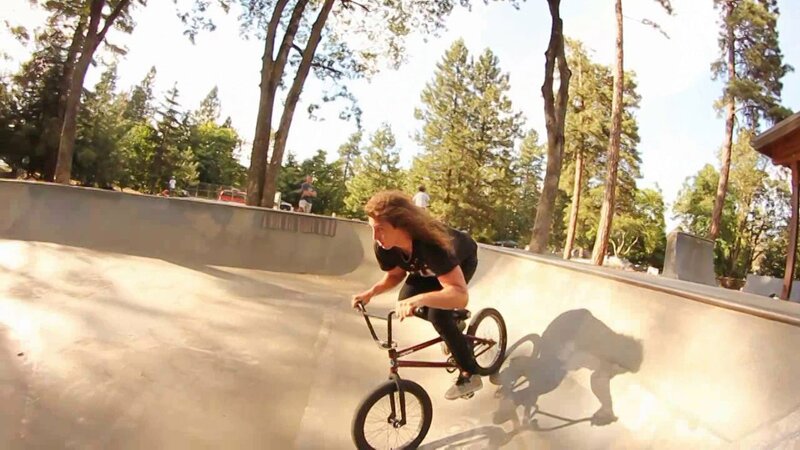 Matt Desson and the BK crew brought the Cayford Jam back to Kelowna this year for the 10 year anniversary of Chris’ passing. The weekend featured lots of swimming, camping and riding along with everyone’s annual trip to the Winfield Skatepark. Big thanks to Macneil, 1664 and Outbound Cycle for pitching in prizes for the jam and Cyclepath Kelowna for feeding everyone. On July 4th weekend, 20 of us packed into a few vehicles and headed to Eastern Oregon. This part of Oregon has a few of the unique park designs that you get when the most progressive NW skatepark builders are coupled with small towns that don’t know anything about skateparks. It also has fireworks and professional bull riding. Tony Archibeque Jr. came along for this trip and shot most of the killer footage in this section. Last up, I made my first trip back to Alaska in five years. Alaska is a special place with a great crew of riders. We managed a pretty good session on one of the state’s best gatherings of random old ramps and fired up the grill for an afternoon. Next summer is right around the corner. I hope this edit encourages a few of you to get out and explore off the beaten path.